"I don't want you to wake up at sixty-five and realize, 'I spend forty of my best years doing something that just funded my life.'" Perhaps the worst fear of adulthood today, is what Jon Acuff finds the heart, soul and strength to define, address and solve in Quitter. He writes in a persuasive and genuine manner about a common fear which many of us feel, yet have difficulty identifying, discussing or putting into writing. "I know sometimes it's scary to think that you might do the wrong thing. It's terrifying to imagine wasting your ‘one shot’. But let me assure you, nothing you do will be wasted. Every decision you make, every path you take, has the ability to contribute something you need to succeed at your dream." 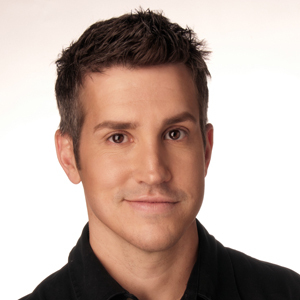 Without the use of smoke and mirrors or gimmicky ideas, Jon Acuff uses a combination of brutal honesty and wit to tell his story. A story of how he went from working a job he could barely tolerate to finding and starting his dream job. He bares his soul by admitting it was not the “last job” that made him realize how unhappy he was – it was a series of eight miserable jobs in eight years. He says that following a dream is not a project to plan overnight and execute in the morning. He encourages the entrepreneurial spirit that lives in each of us while steadily reinforcing the fact that that you cannot truly quit your day job without a precise outline and the inclusion of a decisive plan to fall back on. "More often than not, finding out what you love doing most is about recovering an old love or an inescapable truth that has been silenced for years, even decades. When you come to your dream job, your thing, it is rarely a first encounter. It's usually a reunion." Acuff makes regular references to “reunions” throughout the pages of Quitter. He suggests a brilliant yet simple idea to determine what your true passion is. He suggests taking a mental inventory designed to investigate what it is you used to love to do as a child or earlier in your life. He acknowledges that there are often times in our lives when we need a break from things, and he encourages us not to leave them completely. Instead, allow enough time to look at your life with a fresh perspective. Often we stumble upon ideas or occupations that deeply impassion us, yet for one reason or another, we have not matured enough financially or emotionally to commit ourselves fully. These are the very same things we often find ourselves reuniting with later in life, once we have better positioned ourselves to follow our dreams, to start loving what we do and to “quit” doing the things which drive our unhappiness. "Pitting your dream against someone else's is a fantastic way to get discouraged and depressed." Acuff reinforces that no two individuals have the same hopes, dreams, drive and potential. If human beings were all created similarly by design, there would be little incongruity or variation in our passions. If we shared the same desires, what would drive or motivate ingenuity? Acuff reaffirms that each of us has a dream. Dreams are not just something you can pick up and put down from time to time. Dreams need to be nurtured and properly built to become realities. It is an extremely simple and elementary concept that often gets lost on the unhappy masses who forget that the purpose of living is to experience things, to explore and to find what makes each of us happy. I often give books as gifts. Typically, as I read a book, I know before I am finished who would appreciate or benefit most from receiving it. As I read through Quitter and then listened to the audiobook weeks later, I wondered many times over, who would be the most appropriate recipient? The answer, was obvious. EVERYONE. Without further reservation, I bought a dozen copies. They are already wrapped and ready for Christmas (in August.) The most valuable lesson I learned from Acuff is that inspiration and encouragement are the most satisfying gifts you can give another person. I am ecstatic knowing that through the work of Acuff, I will be giving both.